EMMANDUS INSPIRATIONAL NETWORK! : LOADING!.....WATCH OUT FOR MORE INSPIRATIONAL ARTICLES AND AMAZING OFFERS ! LOADING!.....WATCH OUT FOR MORE INSPIRATIONAL ARTICLES AND AMAZING OFFERS ! It has actually been quite a while since you have been able to read more inspirational stuffs from here.Indeed a lot has happened since then and they all have impacted us positively one way or the other. 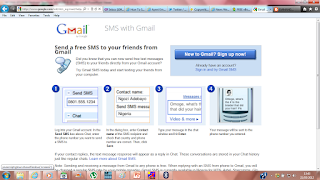 Do watch out for more amazing articles towards Inspiring you to Greatness on our favourite blog. 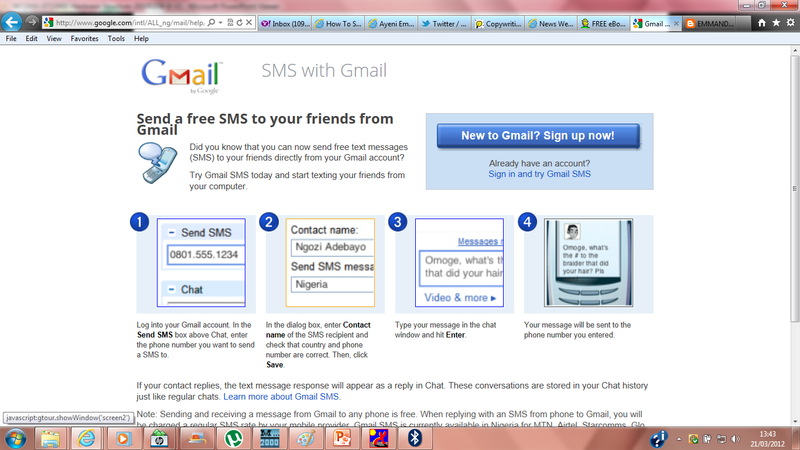 However,I am leaving every reader with a screen shot on how to send sms from your gmail account to any mobile phone.